Zombie! Run for You Lives! 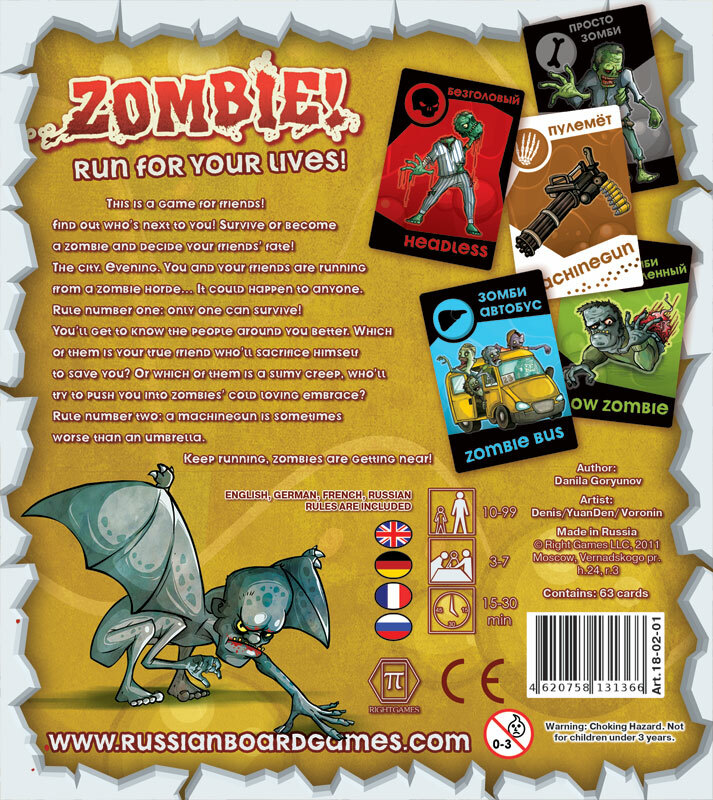 Главная » Каталог товаров » RightGames English version » Zombie! Run for You Lives! Другие фото Zombie! Run for You Lives! 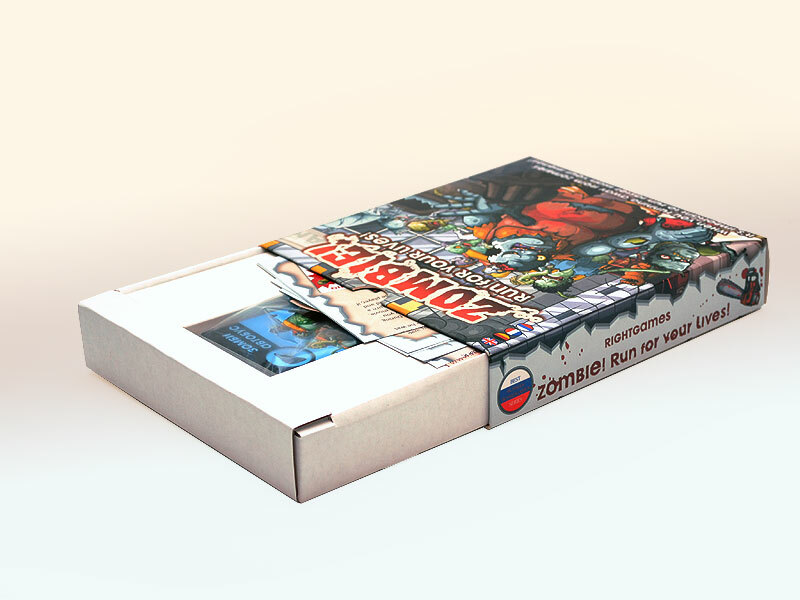 Описание Zombie! Run for You Lives! 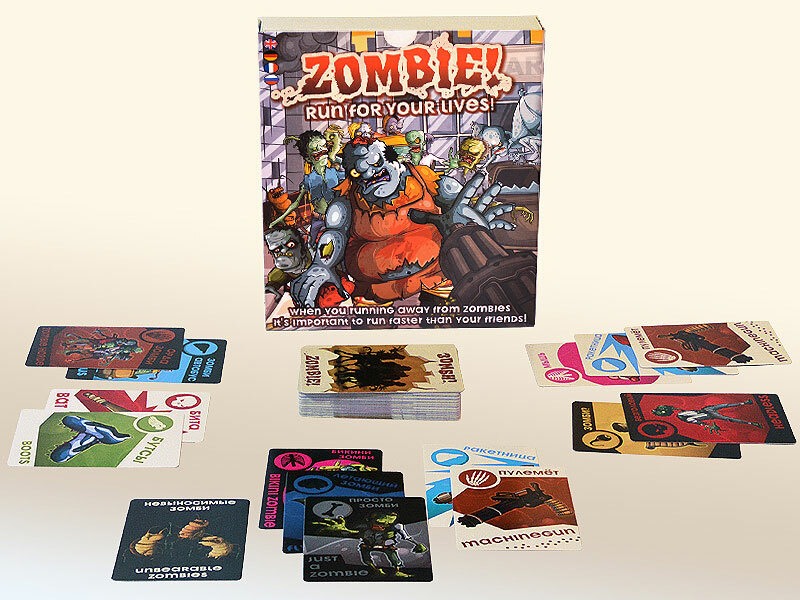 Boo!You and your friends are suddenly surrounded by hordes of very aggressive zombies. But do not fret, we have some good news – one of you will definitely get out alive. How can you become that lucky person? It’s very simple! This game is recommended for 3 or more people. 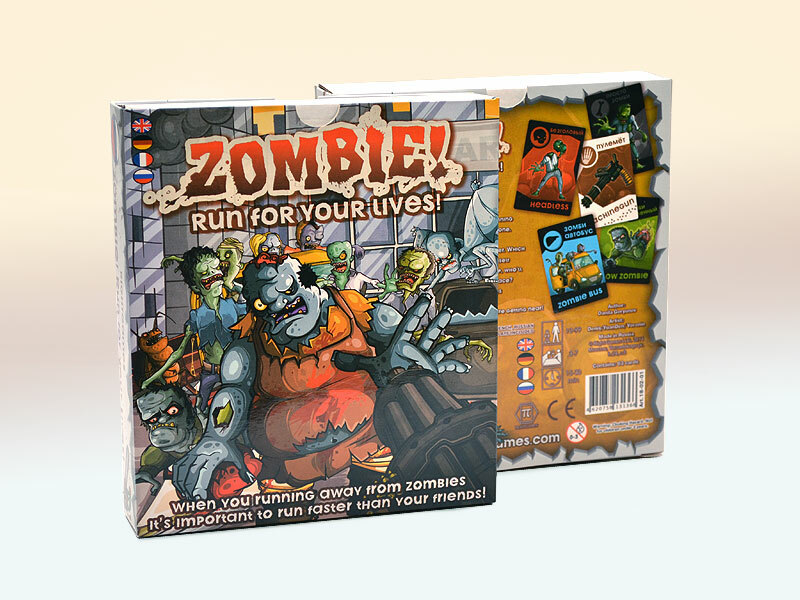 During the game your loyal and friendly team is running away from zombies. Remember! 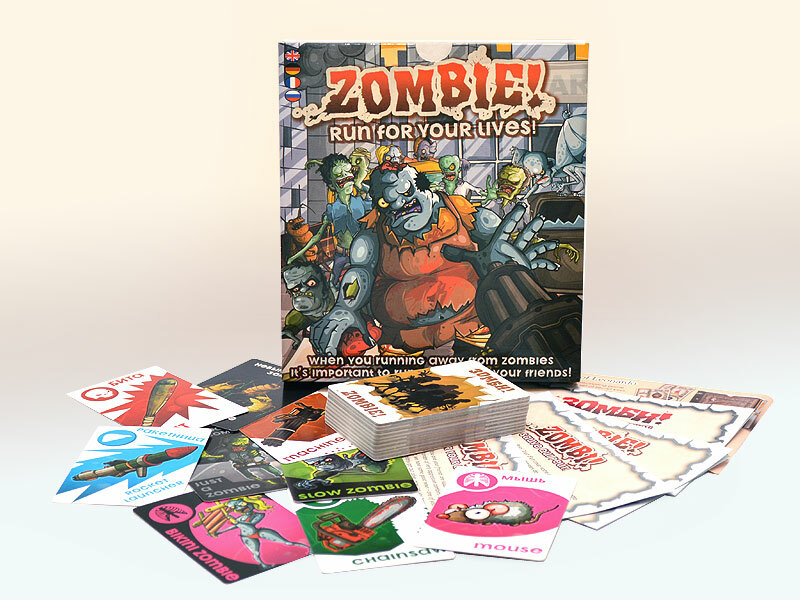 If you and your friends are running away from zombies you don’t have to outrun the zombies, you just need to outrun your friends. 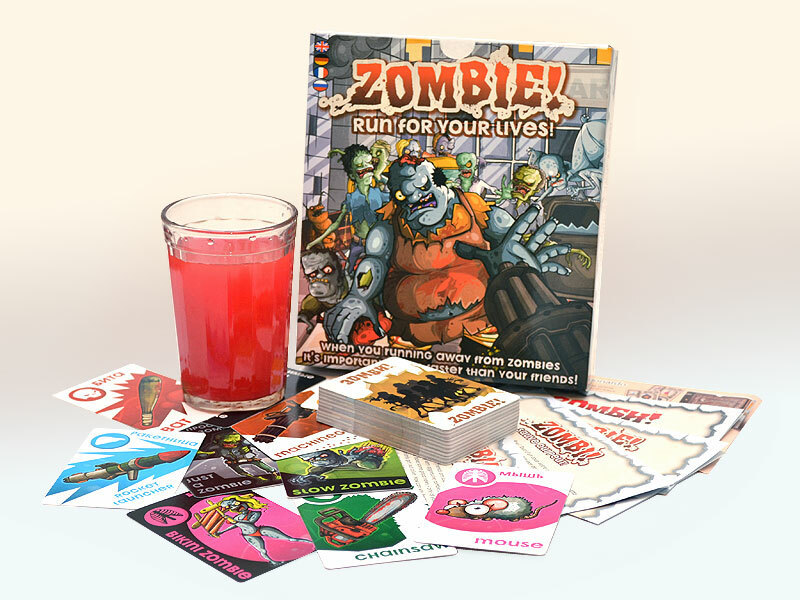 There are 2 types of cards in the game: different types of zombies and helpful items that protect you from them. Certain items save you from certain zombies. 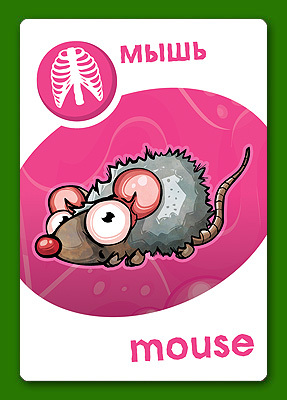 Zombie-item pairs are of the same color and have an identical symbol on the top left corner of the cards. 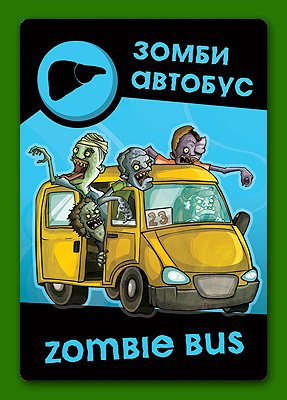 Victory conditions – be the first to collect 5 safety items before yourself or be the last to get zombified. 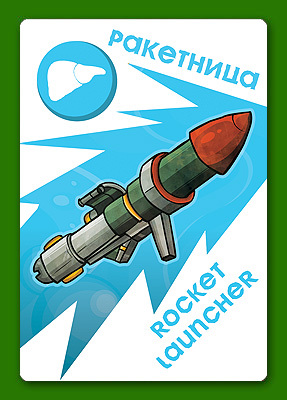 At the beginning of the game each player receives 4 cards from the deck. Players take turns clockwise. A players turn consists of drawing a card from the deck and playing a card from your hand. You can get a helpful item for yourself or send a zombie after one of your team mates. If a player gets an item and zombie card, with the same symbol before him, both cards are placed to the discard pile. Also players can’t have two identical item or zombie cards before them. As soon as a player collects 5 different item cards he is saved and wins the game. 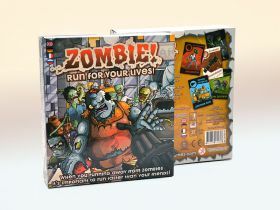 But if the player gets 5 zombie cards he loses and obviously becomes a zombie. A zombie player discards all his cards to the discard pile. 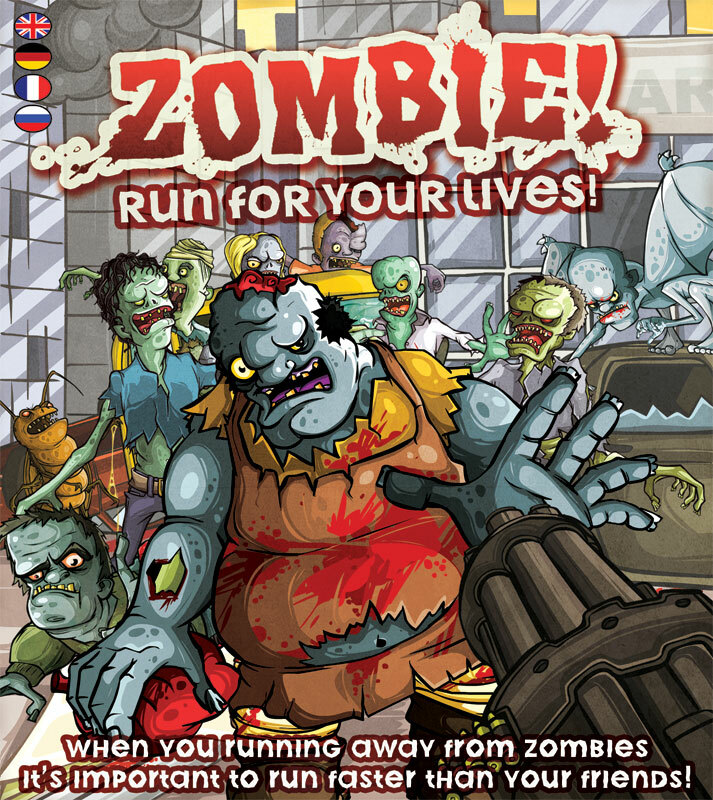 Compared to his warm blooded and lively friends, a zombie player has a very limited ability. A zombie player during his turn takes the top card from the deck and plays it on any living player. Helping out (a zombie might still have a conscious) or getting revenge for his untimely demise. These rules are simple enough. But do you think you have enough time to think when there’s a horde of living dead breathing down your back (yuck, get a breath mint!) who want to add you to their ranks? For all the quick witted and careful planers we have a set of special rules that will make the game more diverse and unpredictable. The important part of the game is that the more people are playing, the quicker it’s played. There’s always someone in a big team who’d gladly push a team mate in to a hungry zombie just to save his own neck.